Hidden surveillance bugs are by their very nature difficult to find. But, there are warning signs that you need to be aware of; if any of these sound familiar, then it is time for you to consider bug sweeping UK wide services to safeguard your privacy and security. There are a range of danger signs that your house, office, or even hotel room may have been bugged and that you need to take counter surveillance measures. One of the most common tell-tale signs is random noises coming from the phone, even when it is not in use. This is because most listening devices and wireless cameras use radio waves, and these cause a great deal of interference with electrical equipment that is working on the same frequency. If you find strange noises, such as clicking or changes in tone, when you are on the phone, then this again could be caused by someone listening to your conversation. Another item that will often act peculiarly under these circumstances is your home computer or laptop. If files move, disappear, or appear from nowhere, then it is safe to assume that someone has remotely accessed your computer, and this could include your camera and audio equipment. A slightly subtler sign is noticing that furniture is slightly out of place or that other items around your house have been moved. If you get the feeling that someone has been in your house, office or room, without anything being stolen, then you may be in need of a company to undertake bug sweeping of the property. If any of these danger signs sound familiar to you, then consider contacting Advanced Sweeping soon. 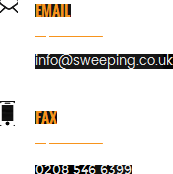 We offer bug sweeping UK wide, and have a fast and efficient service for both private individuals and companies. To discuss your threat level with one of our experts call 0845 512 1552 today, or go to http://sweeping.co.uk/ for more information on potential warning signs.